It's Saturday! Another week of forensics has passed us by and its time reflect on facts hard fought and mysteries left to solve. It's time for more links to make you think in this weeks Saturday Reading. Sarah Edwards, @iamevltwin, talking about her presentation on Mac/OSX malware. None of which made the process as easy or simple as Sherpa Soft's Discovery Attender did for me today. Now I've heard from many friends over the years that I should get a copy of this software as many people where doing in house basic ediscovery with it, but I didn't try it out. I finally broke down and got a copy and let me tell you, its what it claims to be. I was able to search 34 archives of email, it supports ost and psts, search emails and attachments, deduplicate and produce to PST all within a couple hours. I'll wait to see what pitfalls lie in wait for me but for now, very happy with this product and can recommend it as a solution for others trying to solve this problem. Grab a copy here, http://www.sherpasoftware.com/microsoft-exchange-products/discovery-attender.shtml , for those that are wondering I didn't get as much as a discount for this post. I paid full price and tested it prior to even thinking about writing. Right now I'm downloading a fresh Windows 7 vm and Kali Linux so I can write up the credential stealing series. I think its important to keep promises whenever you can. If you remember when we first started talking about the Triforce products we stated we always wanted to keep a free version available. Today we announce that free version to all of you. While in a perfect world you would get a license of our awesome commercial product, we don't want to withhold good evidence from anyone. The free version of Triforce ANJP will fully parse out the $MFT, $Logfile and USNJrnl to text and sqlite databases just like the commercial version. The only difference comes in its ability to use signatures, both provided by us and ones you create yourself, and advanced reporting. We are here to support you in your investigations and make sure you always have the best evidence we can help you get. You will see that the license states not for commercial use, which we think is fair for those of you using our tools to generate a profit from your services. Moving forward we will strive to make the core of the parser the same as the commercial version so the free version will stay up to date and hopefully bug free. I guess you are all enjoying the three day weekend as I received no entries to this weeks contest. So I will donate this license to the first armed forces veteran who emails me with proof of service, your choice which proof, today. Email it to dcowen@g-cpartners.com. After I finish the current series I'm working on, what credentials can attackers steal via what remote access methods, I will write a series on the USN and $logfile artifacts. It's Sunday and time for another forensic challenge to see what you know and to share what you know with the community. With the official launch of our first product, Triforce ANJP, it's time to see how well you understand the research and artifacts we've been discussing for the last two years! List all of the facts and a description of them you can determine from the $logfile and $USNJrnl that you cannot from any other artifact. Today we have a guest post from Brian Moran. Brian saw our Sunday Funday challenge based on Hal's recent testing for the SANS OSX Forensics class and generously followed up with some knowledge of his own! Check this out, very cool stuff. When iOS encrypts the data in the keychain, which stores passwords for the system and applications, it uses a unique key to that iOS device (if memory serves, the length of that key is 64bits, and the password is AES256 encrypted using that key. I might be wrong on the key length and encryption mechanism, but I believe that is correct). In iOS, an application always has access to its own keychain items and does not have access to any other application’s items. The system generates its own password for the keychain, and stores the key on the device in such a way that it is not accessible to any application. When a user backs up iPhone data, the keychain data is backed up but the secrets in the keychain remain encrypted in the backup. The keychain password is not included in the backup. Therefore, passwords and other secrets stored in the keychain on the iPhone cannot be used by someone who gains access to an iPhone backup. For this reason, it is important to use the keychain on iPhone to store passwords and other data (such as cookies) that can be used to log into secure web sites. However, when a user choose to encrypt their backups, the data in the keychain in the iOS backup is no longer encrypted with that key, it is instead encrypted with the user's iOS backup password. So, by utilizing a tool like elcomsoft's Phone Password Breaker (shoutout to Vladimir Katalov) you can load the encrypted iOS backups into the EPPB tool and attempt to break the password for the backups. Once you (hopefully) recover this password, on top of getting ALL the data from the backups, you now also have passwords saved in the keychain for things like email, wifi connections, applications passwords, etc. Daily Blog #331: Forensic Lunch Live From CEIC Day 1! I'm have a lot of fun at CEIC and today we got to do two broadcasts from the conference. Jad Saliba, @jadatmagnet, talking about whats new in IEF, upcoming training classes and certifications! Another Sunday Funday come and gone and I am now only 35 blog posts away from my year! This week I am happy to reveal our winning answer as I believe the answer really presents the itself in a well organized fashion that will help many people get a handle on the killchain as it is. The cyber kill chain was first coined by Lockheed Martin’s Eric Hutchins, Michael Cloppert, and Rohan Amin in 2011. Their paper, “Intelligence-Drive Computer Network Defense Informed by Analysis of Adversary Campaigns and Intrusion Kill Chains” has a wonderfully long title, and is an informative look into cyber threats. More information on this paper can be found in the ‘Further Information’ section, located at the bottom of this submission. The first step of the cyber kill chain highlights the research that an adversary may perform either to identify a potential target, or on a specific, pre-selected target. In either matter, reconnaissance may involve profiling an organization’s web presence, searching for employees and pertinent details, and/or gaining insight into other technologies an organization may use. · Network logs would be artifacts of interest here, including firewall and web logs. Other outward-facing (aka DMZ) device logs would be useful as well. Data analytics can assist analysts in identifying suspicious traffic, such as scanning activity or connections from questionable locations. Correlations over time can help determine what is the “hum of the Internet” vs what may be repeated attempts to profile a network. · The identification of reconnaissance is also going to depend on the attacker’s objectives or capabilities. If employees are too open about their personal details on LinkedIn/Facebook/Twitter/FourSquare, an adversary may be able to profile an entire C-Suite without ever pinging an organization’s IP block. · Firewall ACLs can be utilized to block traffic from unwanted locations, or reaching sensitive areas. · To address reconnaissance using social networking sites, employee training can go a long way to help preventing too much information being released. The second step of the cyber kill chain is an action of the attacker to take a payload, such as a Trojan or backdoor, and craft it into “weapon form”. By weapon form, the attacker needs a method with which to deliver the payload. These methods may include malicious document files, such as PDFs or MS Office documents, or malicious web sites set to execute code upon page loads. · Artifacts of interest from step 2 would be the weaponized payloads that may be left on a compromised host. Artifacts of this type may include malicious PDFs, Office documents, compressed files, or actual executables delivered via step 3’s mechanism. Granted, Step 3 will be required to get these artifacts on the machine, but once on there, may provide a wealth of information. These artifacts will be utilized in subsequent steps as well. · As step 2 covers the weaponizing of a payload, remediation would be best efforts to prevent the execution of said weapon. This is more in line with step 4. · In an effort to catch weaponized malware, NIDS or NIPS tools may be used. a. Step Overview: While step 2 focused on the weaponization of a payload, step 3 is the actual delivery of said weapon. Methods of delivery may include an email with an attachment from step 2, a maliciously crafted website, or a strategically placed USB drive. · The artifacts an analyst might be interested in from Step 3 will be dependent on the method of delivery. For a spear phishing email, analysts will want to analyze the email messages, including headers, attachments, source, etc. For malicious websites, collecting internet history artifacts, including cached HTML files, scripts, cookies, etc. will be important. If the delivery mechanism is something physical, such as a USB drive with AutoRun malware, then forensically preserving the drive becomes an artifact itself. · Depending on the delivery vector, there are a multitude of technologies that can help. 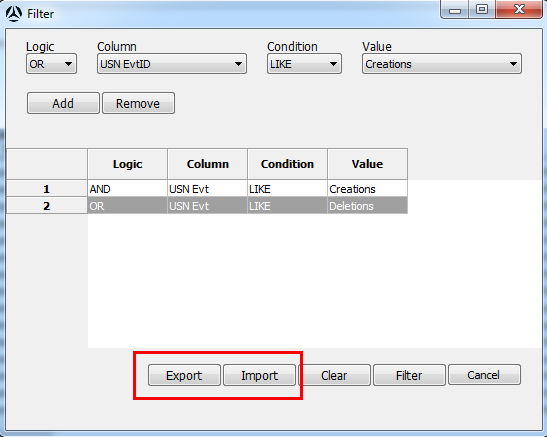 Endpoint USB protection can help prevent executables from running, and/or disabling Windows features such as AutoRun. · Utilizing web proxies may help prevent users from visiting malicious sites. Proxies that ingest data sources like trusted sites and blacklisted IPs are a step closer to prevention. · Artifacts of forensic interest for step 4 are going to be similar to step 2 and 3, and will involve the actual weaponized payload itself. Whether it’s a Java, Windows, Internet Explorer, Office, or Adobe exploit (to name some amongst many, many others), performing analysis on the malware may help determine information about the specific exploit(s) used. 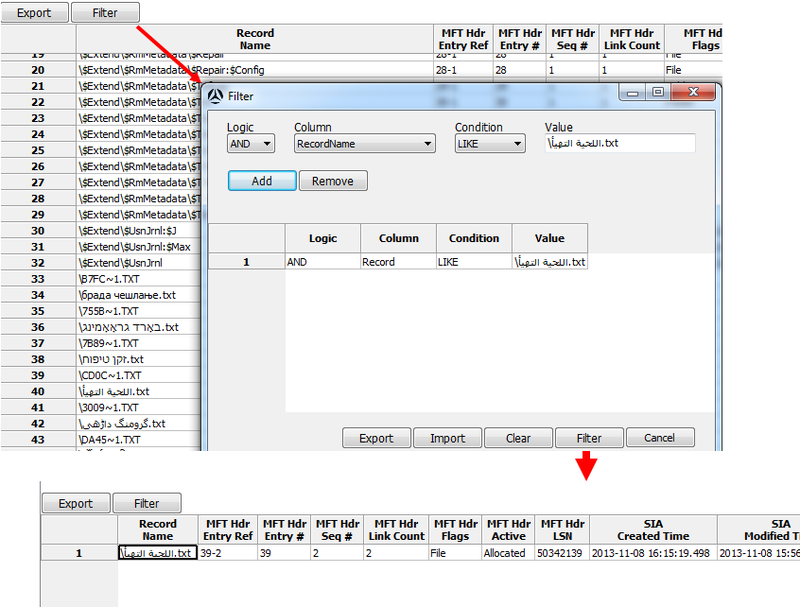 · Step 4 is also where an analyst may want to begin looking at system artifacts. While step 4 does not yet cover a full installation of the malware, system artifacts may yield information such as time of infection or steps that the user took to get infected (unknowingly, we hope). A timeline using a wide range of Windows artifacts (MFT, registry, internet histories, etc.) would be able to identify the time when the email arrived or USB drive was plugged in, and actions that occurred within the seconds (or milliseconds) afterwards. · Specific browser artifacts, including pages visited and/or downloads, may also yield information about the exploit. · The Windows registry hives (system, sam, software, security, ntuser, and usrclass files) may also provide unique information, such as data on removable drives, recent executables/files. · Link (lnk) and prefetch files may provide more information about executables around the time of exploit. · A forensic analyst may also, at this point, find themselves accessing logs on various servers – again, dependent on the method of delivery. Web-based exploits would have valuable information in web logs, proxy logs, and/or firewall logs. If the delivery method was email, the analyst may want to pull email information from the central mail server(s) to trace the source of the delivery. · A myriad of steps can help prevent against weapons successfully exploiting on a target host. Keeping software up to date, for example, is important given the number of vulnerabilities that exist in third-party software tools or document…readers. · Utilizing host-based intrusion detection and prevention tools, such as HIDS, HIPS, and/or anti-virus can help to protect against exploitation. These tools will also help remediate Step 5, which is the installation of the malware. Note that keeping these endpoint solutions up to date is also extremely important – anti-virus is only as useful as the signatures it knows! a. Step Overview: Step 5 focuses on the installation of the weapon from Step 2 via the exploit in Step 4. · Now that the weaponized payload has been installed on the host, the file(s) discussed in steps 2-4 will now certainly be of importance. The analyst should try to capture any remnants of the malware, including executables and other dropped files. Sandboxing or reversing the malware can help analysts determine other artifacts to look for, as well as begin crafting countermeasures for Step 6. · More so than step 4, system- and disk-level artifacts are going to be valuable at this point in time. o The MFT can help paint when the malware was installed, and other artifacts that may have been Modified/Accessed/Changed/Born. The USN journal will also yield information about changes made to the volume. 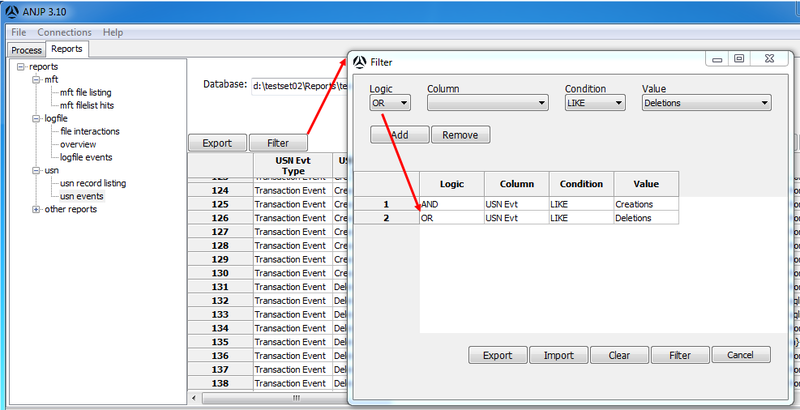 o Windows Event Logs may provide information about the install, and any Windows events that may have been triggered. o The components of the Windows registry are going to provide information about application install, keys created/changed/deleted, and persistence mechanisms. UserAssist, ShimCache, and MRU may also be valuable here, although not all will be affected by every malware. o Similar to Step 4, link and prefetch files may yield information about the executable(s) run to support the installation. o File (file://) entries in the index.dat will also provide local and remote file access. · A memory capture of an infected host may yield more information about the malware. Of course, it’s difficult to trigger a memory capture as soon as malware is installed on a host, however there is valuable data in the memory of an infected host. · By this point in time, the malware has successfully been executed on a host and has successfully “passed through” the intended exploit. HIDS/HIPS may be useful in prevention/detection, allowing the malware to get as far as attempting to install on the disk or make registry changes before it’s blocked. · If the malware is known, anti-virus software may succeed in stopping the infection at this point. It’s also possible that the malware went undetected up to this point, but a dropped executable or DLL file triggered a Quarantine. · Application whitelisting may also be useful at this level, preventing untrusted executables from running. a. Step Overview: Perhaps the sign that many DFIR analysts are familiar with, Step 6 focuses on the beaconing of a compromised host to a C2 server. Once Steps 1-5 have been executed, the host is now likely compromised, and relays back to its C2 infrastructure for next steps. · Artifacts from Step 5 are still going to be useful in this stage, especially if a host is actively beaconing the source of that beaconing has yet to be identified. Finding what is causing the beaconing should be a top priority. · If identified, the source of the beaconing should be captured and analyzed. Malware may have multiple C2 servers embedded and MD5 hash values may allude to other intel. · As with other steps, NIDS/NIPS solutions installed in an environment may be able to alert and detect or prevent against suspicious traffic. Other steps in the kill chain may have been successful thus far, however NIDS/NIPS may prevent C2 communications from reaching outbound. · If intel is gathered about C2 domains/IPs, firewall ACLs can be put into place to prevent outbound or inbound communication. The final step of the cyber kill chain identifies that once an attacker has gained a foothold into an organization, their true objectives come to light. If an attacker compromised the laptop of a CFO, and the original target was next quarter’s financials, then this step represents the exfiltration of said data. Another type of objective may have been to infiltrate an entry point, and then move laterally throughout a network. · Step 7 is not a fun place to be in the cyber kill chain, however from a forensic analyst’s point of view, it is sometimes the most fruitful. It may also be the most common. A large majority of artifacts discussed in previous steps can be useful at this step. Of course, understanding the motives of the attackers will denote how useful each one will be. o Windows Registry Hives to check for new Windows user accounts, user activity. Shellbags may also highlight lateral movement. · If the attacker was seeking to exfiltrate data, then a forensic analyst will want to look for evidence of files being removed from the system, or creation of new compressed files. o Newly-created, and oddly named compressed files such as RARs or ZIPs may differ from user behavior and resemble attacker exfiltration. · An analyst will also want to again consult network logs available to detect outbound information. Network device logs may allude to exfiltration IPs/hosts, or even provide bytes out to determine how much data left the environment. · Again, remediation/prevention is going to depend on the attacker’s objectives. An unprotected system in a poorly-maintained environment is going to leak data without detection. That being said, maintaining proper network intrusion prevention/detection, host-based intrusion prevention/detection, anti-virus, and a responsive DFIR team will be useful. · More specifically, to block outbound communications, firewall ACLs can again be utilized to block communication. · User access controls and permissions can be useful in preventing damaging lateral movement. Note that the preceding is, by no means, an exhaustive list. To pretend that infosec is the same as it was five minutes ago is a dream, and analysts should be prepared to be nimble. There is no single “do it all” tool that offers “push button” forensics and information security. But the right tools, when combined in the right environment, and with the right people, can go a long way in helping an organization keep its data where it should be. It's the weekend between ADUC and CEIC. If you are a conference warrior like me this is your chance to take a breath and catch up the world. Get ready for more links to make you think before another week of good talks and knowledge on this weeks Saturday Reading. 2. Harlan has a new blog up this week with updates and links, http://windowsir.blogspot.com/2014/05/updates.html. Most interesting to me was updates to Regripper! 4. Corey Harrell has a new blog post up all about what artifacts are left over from an exploit, http://journeyintoir.blogspot.com/2014/05/cve-2013-0074-3896-silverlight-exploit.html. These are always fun to read and can usually lead to you thinking of new sources of artifacts to look for. 5. Brett Shavers has a new blog post up announcing the arrival of training videos on WinFE, http://winfe.wordpress.com/2014/05/10/coming-soon-online-winfe-training-program/. I think WinFE is great and look forward to seeing these. That's all for this week, see you tomorrow for another Sunday Funday challenge! It was fun to meet those of you who identified yourselves as blog readers/forensic lunch watchers! If you ever see me please do come up and say hi! It's nice to know there are real people attached to the visitor counts I watch to see who is reading this. It's very motivating to meet all of you and hear your experiences and perspectives as we all work to get better at DFIR work. I hope you get some good information from this presentation, I really felt like we talked about some issues that don't get discussed a lot outside of teams of people like us who have learned how to work together well.